The GPlates Portal is a free and interactive cloud-based tool that enables the visualisation of cutting-edge geoscience datasets. Using a published plate kinematic model, datasets can be reconstructed back through time to the Jurassic, 200 million years ago. Currently, global satellite-derived vertical gravity gradient data can be visualised via the Portal, and global maps of free-air gravity anomalies and magnetic anomalies can be tectonically reconstructed. 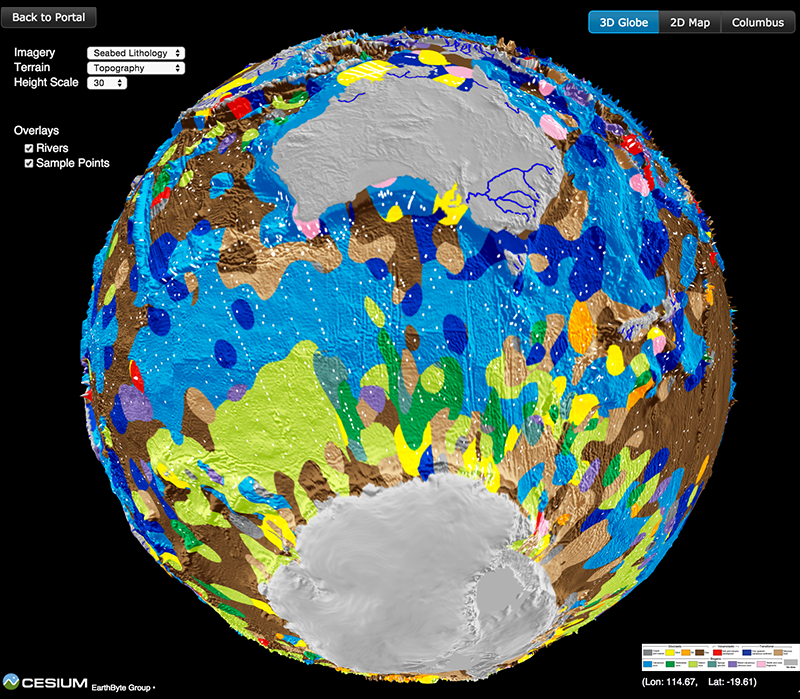 The GPlates Portal is also the gateway to the Paleomap Maker, a web service designed to provide researchers with plate-tectonic data reconstruction and visualization services. The core reconstruction engine is powered by the cutting-edge open-source plate-tectonic reconstruction software, GPlates, and the visualization is made available by using Matplotlib Basemap Toolkit. The Paleomap Maker enables users to choose, from a range of sample datasets, what they want to plot and set a geological time and map projection. After hitting the “Create Map” button, the map will be presented in the web browser in a few seconds. A user’s configurations can be kept in their workspaces. So, next time when they login again, they can continue working on the map that they had left behind last time. Power users are allowed to upload their datasets and reconstruction models to create their own maps.